This is the time of reporting these after four weeks in FY (November 2012 and January 2013). I made ? 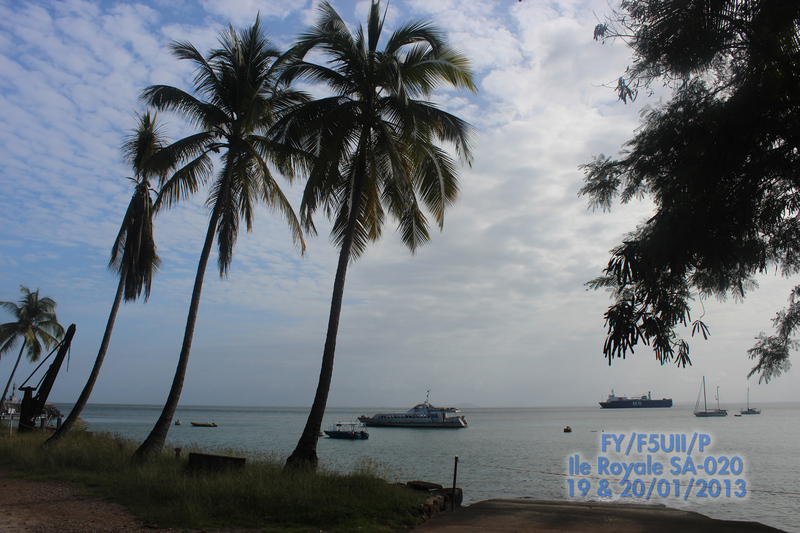 ?a little over 2000 voice contacts from the radio club FY5KE Kourou, mainly on 20 meters band. I was able to enjoy beautiful openings on 20m and 10m, with Europe, Japan, and the United States. 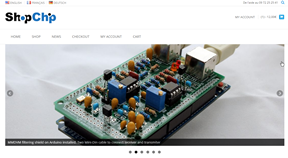 Some QRP stations were happy to contact me also, as like EA1HFI with 4 watts and also SQ2RBW with 2 watts. In total this represents, all bands together 72 countries DXCC contacted. 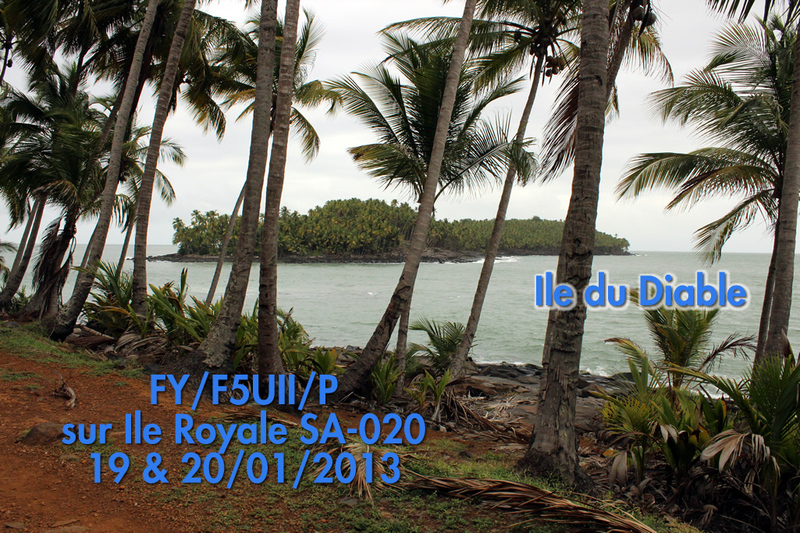 In the small weekend Ile Royale (IOTA SA-020), I made 662 QSO contacted and 58 DXCC countries.